Would you recommend Yahoo Livetext to a friend? I've been using this product for a while now while it has been private. It's incredible how it feels to chat with someone and actually see them, regardless of what they are doing. If you are on a product team and are responsible for creating new products, it's definately worth trying out Yahoo Livetext with someone whom you care about. The experience actually feels magical. Lots to learn from what they've created. Kudos to the team! I love the feeling of live. So much on our phones is distracted time. With LiveText you truly have to be with the other person realtime. they know if you are looking away. And you can make funny faces at each other. I'm excited to see this out and live. Have watched this quickly evolve from an idea to a product and nice to see this widely released. Congrats to the @yahoo team working on this. 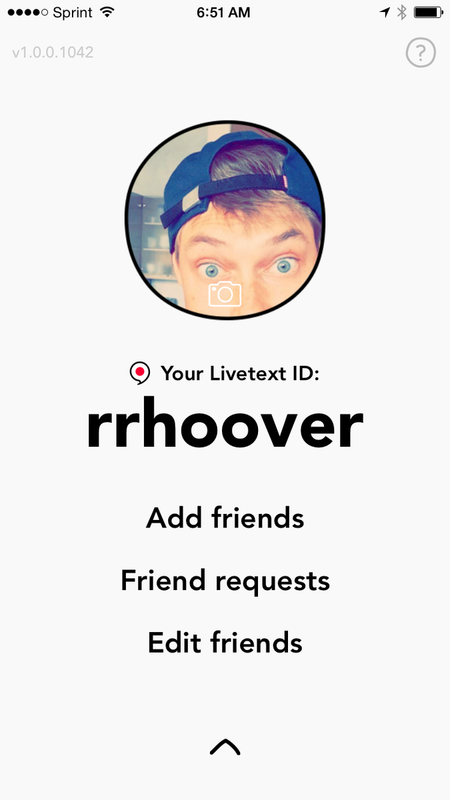 @rrhoover Ryan, i scooped livetext about a week ago on PH. is there any reason this was removed? @ourielohayon you're quick. 😊 At the time, it was only available in a few geographies (e.g. New Zealand). Featuring it on the homepage would lead to disappointment to those outside those regions.